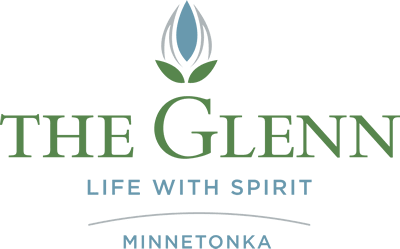 Away from the hustle and bustle of the city, yet close enough for convenience, The Glenn Minnetonka is located in the heart of Minnetonka, MN. Many local stores, malls, pharmacies, clinics and restaurants are all within a few miles. Take I-494 South to MN Hwy-7 West. Exit West on MN Hwy-7 to Williston Road. Take a left onto Williston Road, and stay on Williston for 1 mile to Excelsior Blvd. Take a left onto Excelsior Blvd. Go East 2 blocks on Excelsior Blvd. to Woodhill Road. Take a left onto Woodhill Road. Arrive at The Glenn on the left. Turn slight right onto Glen Lake Blvd. Turn slight right onto Eden Prairie Road. Turn right onto Excelsior Blvd. Go 2 blocks onto Excelsior Blvd. to Woodhill Road, and take a left onto Woodhill Road. Take I-494 West to US-169 North. Take US-169 to Excelsior Blvd. to downtown Hopkins. Go west on Excelsior Blvd. for approximately 3 miles, and then take a right onto Woodhill Road. Take I-494 West to I-169. Take I-169 North to the Bren Road exit. Go West/Left on Bren Road to Smetana Drive. Go North/Right on Smetana Drive. Smetana Drive becomes Smetana Road & turns west. Go North/Right on Feltl Court. A sign for The Glenn Minnetonka is on the corner. Take MN Hwy-7 east to CR-101 South. Turn slight right onto CR-101 South. Turn left onto Excelsior Blvd. / CR-3.